The deluge of new roofing products on the market has been accompanied by a wide array of manufacturers’ warranties on materials and roofing systems. These warranties can save your homeowners money on future repairs to their new roof. These warranties can also help decrease the claims on your general liability insurance. Your role as the roofing contractor is to not only install the roof but also to select the materials and components in the roofing system. A major part of the selection is choosing the products, which have warranties that offer the greatest coverage. If warranties cover repairs in total, your homeowner won’t need to file a claim against your contractor’s insurance, and this will reduce your costs. Make sure you pay warrantee fees in full to the manufacturers before the completion of the roof. Ideally, warranties should be paid for at the time of purchase. Failure to pay the fees nullifies the warranty. 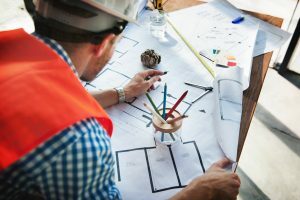 You want the warranty to absorb the costs rather than have claims filed against your general liability insurance, which could effect the price of your roofing insurance. Scope of coverage refers to whether a warrantee covers just defects in materials or defects in both materials and workmanship. Obviously, you want warranties that cover both the materials and the workmanship. If only materials are covered, that may prompt your homeowner to recoup the total cost of the repair through your roofing insurance. Two types of monetary limits exist on warranties. 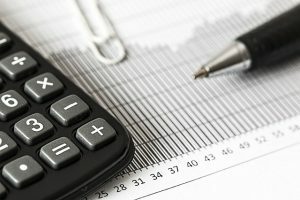 The No Dollar Limit (NDL) does not name a specific dollar limit and is preferable because the pay-out amount is not capped. 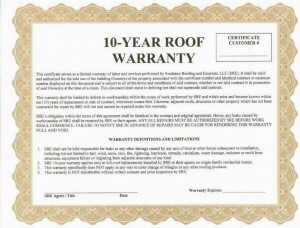 Penal Sum warranty only offers coverage to the original cost of the roof or square footage of the roof. This type of warranty does not factor in the rise in the cost of materials from the time of installment of the roof and the time of the needed repairs. Determination of applicability gives the manufacturer the sole power to determine whether a needed repair is covered by the warranty. Often, the manufacturer will use this power to reject claims for repairs included in the warrantee. Avoid warranties with these conditions because those manufactures may not honor their guarantees. Exclusions are routine in warranties, and they fall into two categories: legal and technical. Legal exclusions would be like a breach of contract. Technical exclusions will bar repairs due to certain causes such as natural disasters, improper maintenance or abuse. You can expect to find exclusions in warranties. What you have to determine is how much do those exclusions detract from the value of the warranty. If you found the ideal warranty, it would contain coverage on both material and workmanship defects and have a no dollar limit. It would not include a determination of application, and the exclusions would not detract significantly from the value of the warranties. Warranties like that would limit your liability and reduce the cost of your roofing claims.